This kid has a great, unobstructed second-story view of the parade below. No glitz, no beads, no flashing. Every time I look at the original photograph, my eye always goes to this woman. Okay, that kid’s view is nothing compared to these guys who’ve scaled the Dallas Herald building. 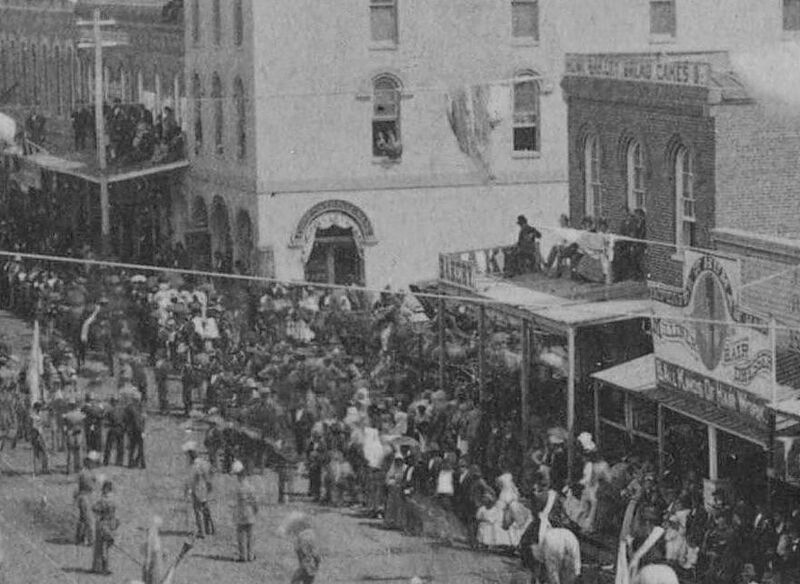 In information about the 1876 parade, the Feb. 24, 1876 edition of The Dallas Herald advised: “To prevent accidents, owners of buildings having varandas [sic] will permit no one to stand on them, unless the same have been sufficiently strengthened.” I don’t know … some of those “varandas” look pretty shaky. And down Main Street they go. This is a stereograph photo by Alfred Freeman, from the Lawrence T. Jones III Texas Photographs Collection, DeGolyer Library, Central University Libraries, Southern Methodist University; it can be viewed here. (I have manipulated the color.) SMU has the photo as being “ca. 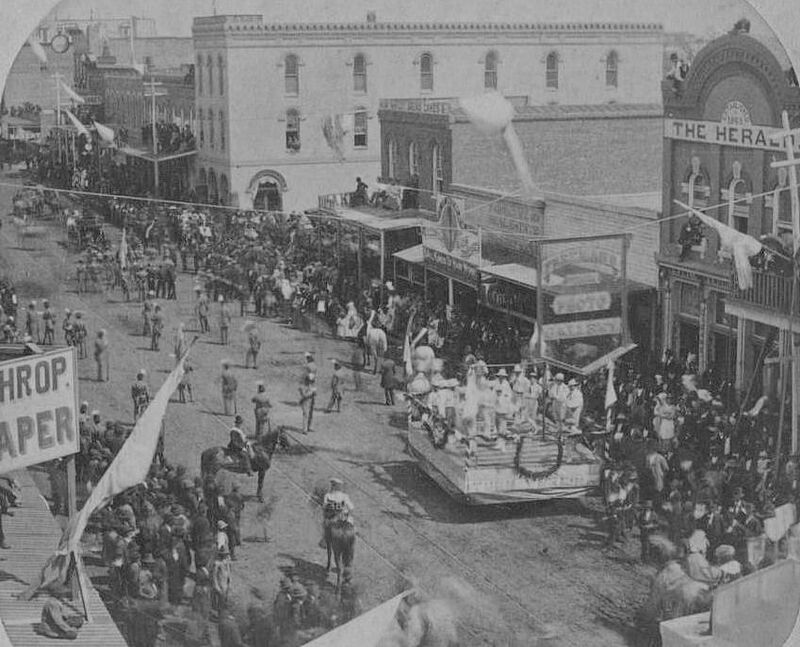 1870,” but the first Mardi Gras parade in Dallas wasn’t held until 1876. 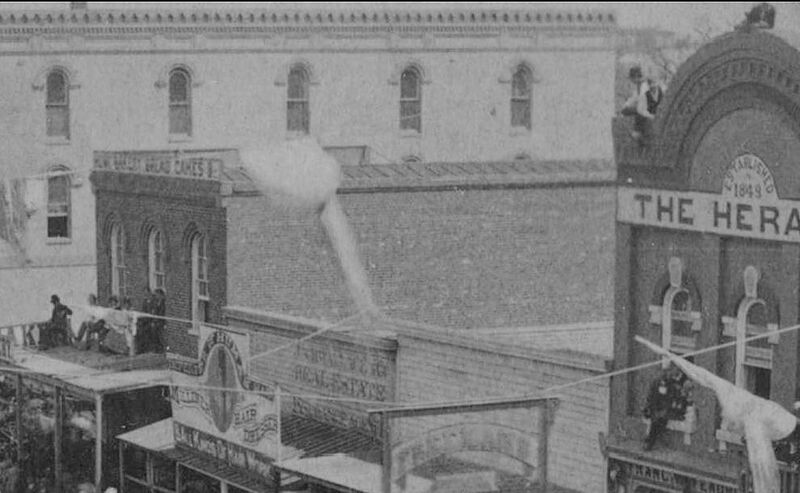 The view shows Main Street looking east, apparently taken from the roof of the Reed & Lathrop building on the northeast corner of Main and Austin. 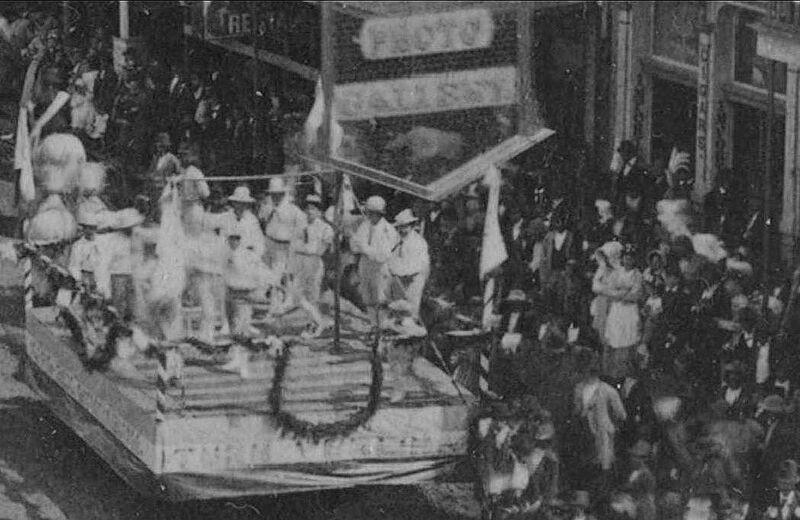 Read about the first Mardi Gras parade in Dallas in the Flashback Dallas post “Mardi Gras: ‘Our First Attempt at a Carnival Fete’ — 1897,” here. Freeman was a very prolific photographer. Working in Dallas from 1870 until about 1890 then in Denison/Sherman finally up in Colorado Springs where he passed away in the early 1930s. 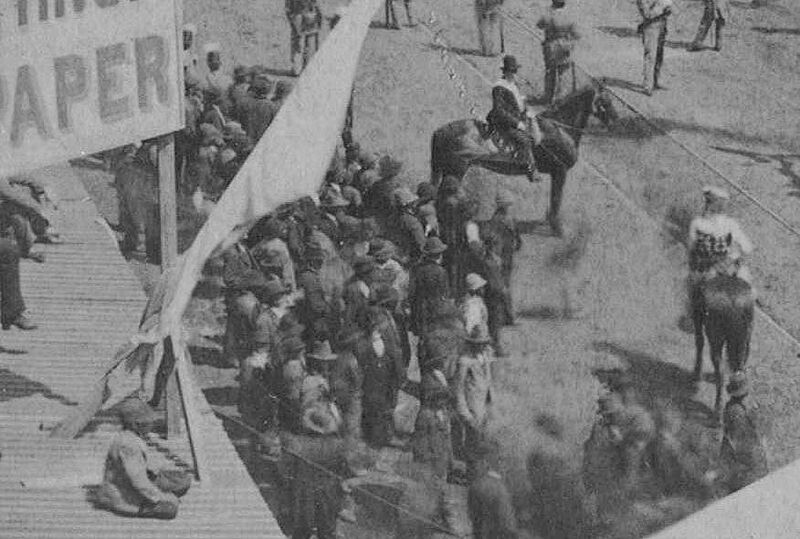 I like the product-placement for his business he’s got there with that sign hanging from a rope over the parade action!